Holy Baptism is the initiation by water and the Holy Spirit into the Church, which is the Body of Christ. Oil of Chrism blessed by the Bishop is frequently used to seal the life-long covenant with God established in Baptism. Holy Baptism is appropriately administered within the Eucharist as the chief service on a Sunday or other feastday. The Priest, representing the Bishop, is the celebrant. At Baptism, the candidates are presented to him by one or more Baptised persons for the Examination and profession of faith. It is the intention of Sponsors of adults and older children to support them by prayer and example in their own lives. Sponsors of infants, known as Godparents, present their young candidates, make promises on their behalf, and also make the Baptismal promises on their behalf. Parents are included among the Godparents of their own children, and both are instructed in the meaning of Holy Baptism, their duties to help the new Christians grow in the knowledge and love of God, and their responsibilities as members of the Church. 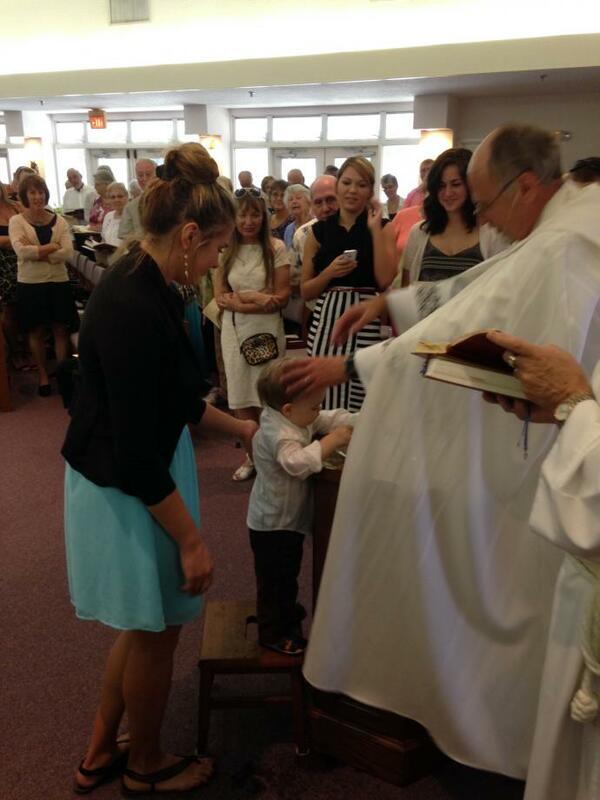 The liturgy for Holy Baptism is found in the 1979 Book of Common Prayer, pages 299-308. If you are interested becoming Baptized, please contact the Parish Office.